Following up to the undeniable success of her latest movie “Etiquette for Mistresses”, the Queen of Talk, Kris Aquino, now comes with another Metro Manila Film Festival entry, “All You Need Is Pag-Ibig”. 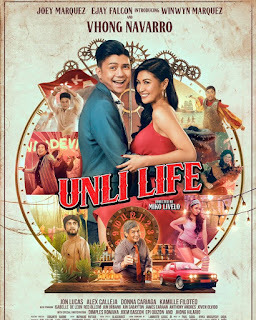 In this movie, she teams up with last year’s MMFF Best Actor Derek Ramsey and they are joined by other brilliant stars of Philippine show business, including Nova Villa, Ronaldo Valdez, Ian Veneracion, Jodi Sta. Maria, Xian Lim, and Kim Chiu. Plus, child stars Bimby Aquino Yap, Julia Concio, and Talia Concio are part of the film’s cast as well. Originally, Herbert Bautista was set to be Kris Aquino’s leading man, but due to some conflicts, he backed out and was replaced by Derek Ramsey. This project is actually one of Star Cinema’s two film entries (the other entry is “Beauty and the Bestie”) for this year’s filmfest. It is also Bimby Aquino Yap’s third movie, following to “My Little Bossings” (2013) and “Praybeyt Benjamin 2” (2014) – both are MMFF entries during their respective release date. 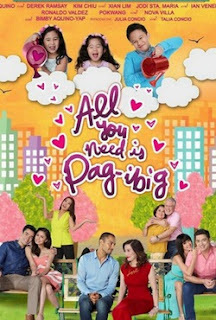 As the title suggests, “All You Need is Pag-ibig” is primarily a love story that comes in different form. This movie is classified as romantic comedy, the movie genre that the loveteam Kimxi (Kim Chiu and Xian Lim) has been notable for. Adding to the kilig factor is the first ever movie team up of Ian Veneracion and Jodi Sta. Maria who are currently playing the role of the real love interest of each other’s character in ABS-CBN’s primetime TV drama series, “Pangako Sa ‘Yo”. Along with the seven other film entries for the upcoming MMFF, “All You Need is Pag-ibig” will be released in theaters nationwide on December 25, 2015. But the important question is, will this exciting rom-com film be able to beat or at least match the success that “My Bebe Love: #Kiligpamore” would about to receive?